High winds in the Sunday final round challenged golfers from twelve universities competing in the 6thAnnual Lady Blue Hen Invitational, held Oct. 20-21 at Rehoboth Beach Country Club. The Seton Hall University Pirates took first place over their hosts from Delaware, 890-893. Elizabeth Win of Seton Hall also won medalist honors with a 3-over total for the three rounds. Araine Klotz’s tie for 5thplace was the best score posted for Delaware. Here are the final standings for the remaining teams: (3) Georgetown; (4) Pennsylvania; (5) High Point; (6) Rutgers; (7) Bucknell; (8) James Madison; (9) Quinnipiac; (10) Towson; (11) Columbia; (12) Western Michigan; and (13) Delaware B. The Ladies Professional Golf Association is in the middle of its fall Asian Swing, with five tournaments in Korea, China, Taiwan, and Japan before the season-ending CME championship in Naples, FL. If there were any doubts that the LPGA is a true world tour, these events should have dispelled them completely. That global impact is not lost on potential sponsors or on Mike Whan, the current LPGA Commissioner. In early June I went to New York City as an LPGA invitee for a “Sips and Tips” gathering at the upscale Golf & Body NYC facility on 6thAvenue. Most of the others in attendance were a variety of investors and businesses the LPGA had identified as potential partners or sponsors. I was happy to have the chance to talk directly to Whan. Whan said the LPGA’s contract with NBC’s Golf Channel calls for 200 hours per year, but have consistently gone over 400 hours for the roughly three dozen LPGA tournaments held each year. He’s especially proud of the fact that the tour now reaches TV sets in over 170 countries. I mentioned that this year it seemed as if several LPGA players stayed in the running each week, but a sizeable number also had trouble making the cuts on a consistent basis. Whan felt this was actually pretty normal and reflected the fact that playing consistently good golf at this level is simply very difficult. Whan later addressed the group for a short presentation. He recalled his own business experience before assuming the Commissioner’s role in 2010, when the companies he worked for would simply “write a check” for a sponsorship. He stressed his goal is to engage in “partnerships over sponsorships,” emphasizing the benefits of working together for common goals. Whan noted that the LPGA is set up for maximum flexibility in developing these partnerships, in contrast to more structured arrangements insisted upon by other professional sports organizations. Two parts of his presentation stood out to me. He suggested that sponsor CEOs highlight their new arrangements with the LPGA to their female managers and the male managers who have daughters. “This matters to your employees as well as your customers,” he said, and promised they would be especially surprised at the reaction from within their companies. Whan also told the group that the players are provided with a fact sheet before each tournament. They see data regarding the sponsors, photos of particularly important sponsors or guests to pay attention to, and other information that the players can use in the pro-am or on their own social media platforms. I think this is a great idea, enlisting the players themselves into their Tour’s marketing efforts. If LPGA players didn’t already understand their dual role as sports entertainers and business operators, this tactic should be enough. Based on the fact sheets presented at the gathering, the potential is certainly there. 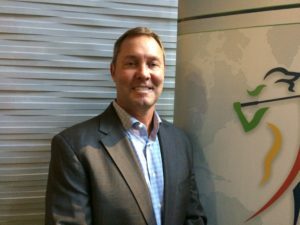 The LPGA currently has corporate partners from 18 countries, holds tournaments in fourteen countries, and claims to have over 21 million fans. Television coverage now reaches 485 million viewers, an over-250% increase since 2011. That is a great record, and one that Whan and his LPGA staff are working to improve. The Rehoboth Beach CC Ladies 18-Hole group played a team net/gross competition Oct. 17. Karen Storms, JoJo Barrows, Bee Ekdahl, and Beth Carpenter (blind draw) won first place net. Daisey Hudson, Carole Medd, Britny Whitby, and Carpenter won first place gross.